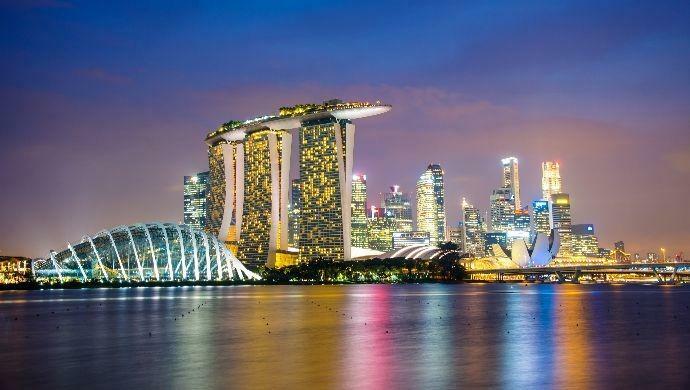 In the coming weeks, the Lion City will be gearing up for the Singapore Week of Innovation and Technology (SWITCH) happening from September 17 to 19. Organised by National Research Foundation Singapore (NRF) and Enterprise Singapore (EnterpriseSG) this event has A LOT going on. There are multiple summits, a global pitching session and, of course, industry leaders sharing their thoughts. The event has three core focusses. First, it wants to bring together the ASEAN and Chinese tech industries. For awhile now, Chinese tech companies and investors have looked to Southeast Asia for market access. SWITCH wants to be a place to help facilitate this relationship building. Secondly, the week will be focussed on Deep Tech, which has been a core public policy of Singapore for awhile now. Summits like SGInnovate’s Deep Tech Summit, Empiricon by Tabula Rasa and TechInnovation from IPI will have deep tech focusses. Finally, the Slingshot pitching competition will take center stage. Over 1,000 startups from 80 countries applied to the pitching event and 80 shortlisted companies will pitch all week, culminating in the finals on September 19. The organisers also hinted at a feature about tech-and-lifstyle but were coy about the details. Like a music festival, there will be events running simultaneously, so make sure to plan out the day so you don’t miss anything! The entire week will be taking place in the Marina Bay Sands conference center but will be broken into independent “stages”. Organised by EnterpriseSG, this is a gathering of corporates, ecosystem builders and thought leaders to build connections between China and Southeast Asia. In terms of bridging Southeast Asia and China, this would be the flagship event. This is an exclusive networking event held over two days. It is focussed on facilitating connections between Japanese corporates and Singapore startups. This would be a great opportunity for companies to learn about Japan without having to take a trip to the country. The journey begins for 80 companies on day one as they battle it out for glory, recognition and exposure. The competition did a good job of attracting startups from all over the world, which will make it an interesting event. Organised by TechNode, this is a two day conference that will focus on China’s tech and startup scene. Expect to deep dive into the Chinese ecosystem and get educated about the current trends, philosophies and problems the region’s biggest country is facing. Leveraging the “One Belt, One Road” initiative, DEMO ASIA is a re-interpretation of a 10-year-old event held in China. The event is organised by CYZone, which is a company in Beijing that helps empower Chinese entrepreneurs to grow their companies. The event wants to bring the same style as DEMO CHINA but with a localised appeal to Singapore. As the name suggests, this event, organised by SGInnovate, will bring together thought leaders in the deep tech industry. These people come from blockchains, medtech, and artificially intelligence startups as well as venture builders. Furthermore representatives from innovation hubs across the world will be present. A technology industry matching event, TechInnovation wants to help connect technology providers with enterprises. The goal is to help these tech companies with commercialisation while providing an avenue for companies to innovate. TechInnovation is organised by IPI. This annual conference wants to celebrate and promote gender diversity in the tech space. The event is fronted by women and plans to showcase inspiring local and international shining examples. It also plans on showcasing achievments and building a marketplace of opportunities for women. Empiricon, organised by Tabula Rasa, is focussed on finding deep tech solutions for sustainability. Some of the questions they will ask are, “Are current measures enough or can we put our existing technologies to better use?” and, “Who should be responsible for the planet?”. Organised by BANSEA, the Business Angel Network of Southeast Asia, this summit will work to promote the development of the angel investing community in the region. This organisation was one of the foundational pillars of the Southeast Asian startup scene, having been launched in 2001 and building a network across the world. Bringing together creatives and startups the Disrupt stage will transition into the Concave Summit. This is an effort to break down silos and help people from various industries connect and find opportunities. UN Environment Ambassador Nadya Hutagalung will present a talk about finding conservation technology. Digital Predic Hackathon – Demo Day on September 20. Startup Weekend Hackathon – 54-hour event from September 28-30. TechXLR8 Asia – Level 5 of Sands Expo Center from September 18-20. World Restorative Innovation Forum – Taking place at INSEAD on September 17. The post Everything you need to know about the upcoming SWITCH tech event in Singapore appeared first on e27.